All the cards for my DD teachers are now done just in time for the last day of school! It was fun, as I haven't had a chance to do a lot of crafting lately. This one is for the trumpet teacher - her only male teacher so I had to back off on the bows and bling, though I couldn't resist using some ribbon I have had for years and never used. I also got out some Thickers I was hoarding. Why is it we all love Thickers so much that we seem too afraid to use them? 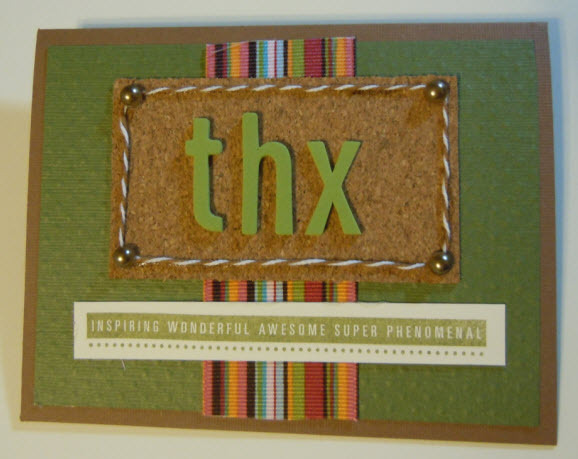 Thanks to Use it Tuesday for giving me the kick I needed to use it before I loose it :-) Finally, I used a piece of cork left over from a recent project as well as some twine, brass brads, and embossed cardstock from Bazzil. Stamp is from Close to My Heart. Perfect card and a great sentiment to thank the teacher! Glad you dug into your stash to play along with us at UIT!! Hey Lisa! Love this card! I mean really, really, really! I might have to stael this one. The colors and texture rock! This SO looks like a card I would make. Thanks for your comment. I'm so excited to be designing for Unique Crafters. I remember when they had their Try to see if Fran wants to meet you for the convention. I'm in the middle of the class reunion and having a blast! 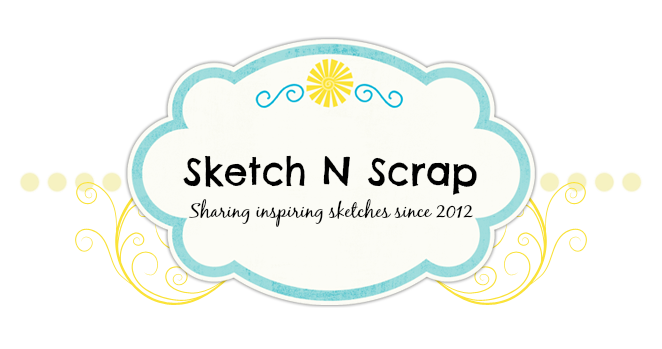 Hope to see you in Sept. for the Blogger Boot Camp. I remember you mentioning the reunion - I'm sure you're having a blast! Beautiful Card!! 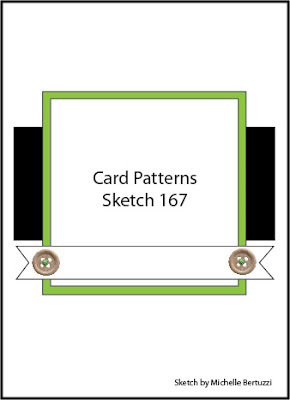 Thanks for joining us at CardPatterns.